The first BTT airdrop by the Tron Foundation and BitTorrent Inc. was scheduled to distribute 1.1% of the total token supply of 990,000,000,000. This meant a cool 10.89 Billion BTT was going to be distributed at once to hodlers of TRX. Using the value of the token at the time of the airdrop, there was going to be an influx of approximately 2,400 BTC worth of the token in the crypto markets. Many traders had put forth two scenarios for the token’s reaction in the crypto markets due to the airdrop. Firstly, the immediate influx of BTT from the airdrop would cause massive selling that would dilute the value of the token. The second scenario was that crypto exchange and wallets responsible for the distribution, would take some time processing all the transactions related to the airdrop. This would then create an opportunity for BTT to thrive in the markets as interest grew from traders. It is the latter scenario that played out. BTT is currently valued at $0.00103 up 40% from its recent low of $0.0007329 witnessed on the 10th of this month. In terms of Satoshi, BTT has risen from 20 Sats to its current value of 29 Sats in the mentioned time period. As mentioned above, the distribution of 10.89 Billion BTT across multiple exchanges and wallets has resulted in a bottleneck scenario where some holders of TRX have not received their tokens from the airdrop. Justin Sun had earlier asked holders of TRX to check their wallets for the airdropped BTT. His words were as follows. However, due to multiple TRX holders expressing concerns about not receiving their tokens, Justin has since assured that the BTT airdrop is still being processed and the tokens are on their way. This tweet can be found below. What are your thoughts on the resurgence of BTT in the crypto markets? Will this momentum be repeated during each airdrop for the next 6 years? Please share your comments in the section below. 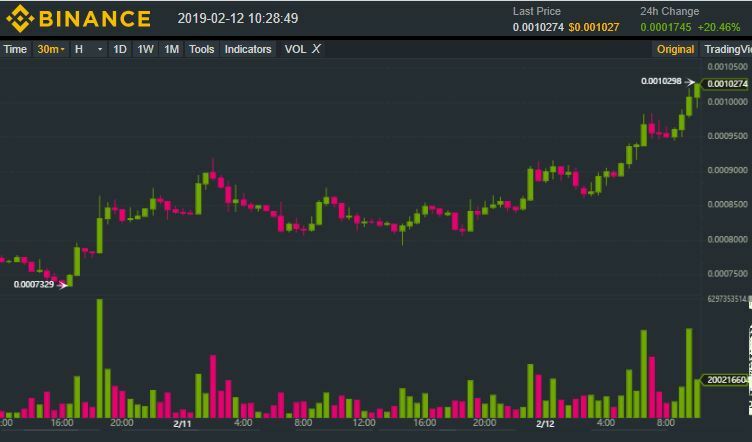 The post BitTorrent Rises in the Crypto Markets as TRX Holders Continue to Receive BTT appeared first on Ethereum World News.